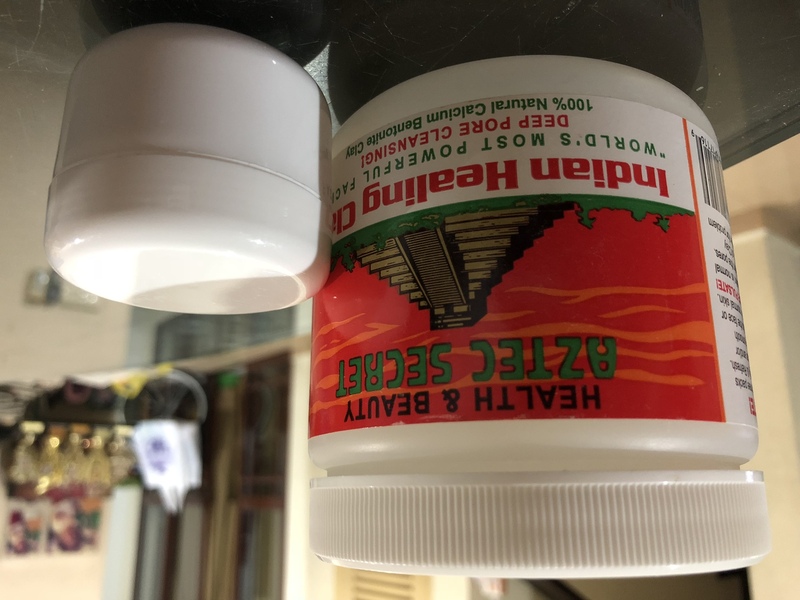 The unique structure of the molecules in Aztec Secret Indian Healing Clay carry a negative electron charge. 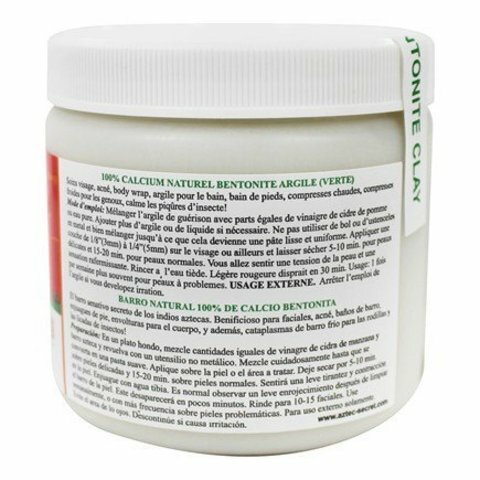 This comes from the valance electron count from the specific minerals found in Aztec Secret Indian Healing Clay. 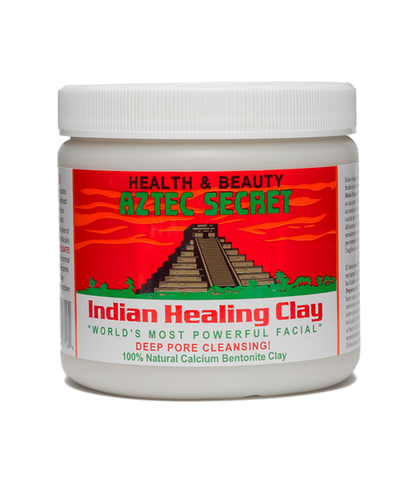 When a spectographic analysis is done on Aztec Secret Indian Healing Clay, almost every mineral found on Earth is present. Aztec Secret is volcanic Ash from when the Earth was formed It is the foam residue left as the planet cooled The foam residue formed a pure clay vein layered between white sand, near one of the lowest parts of planet Earth. When a facial or clay poultice is applied to the skin it forms a negative charge. 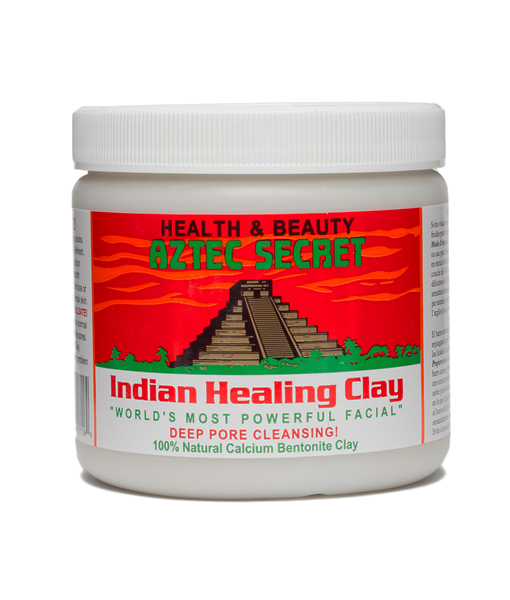 Poisons and toxins stored in the epidermis have a positive charge - Aztec Secret Indian Healing Clay lifts the pimple and blackheads into the clay bed to cause accelerated healing and nourishment to the skin with over 50 minerals. 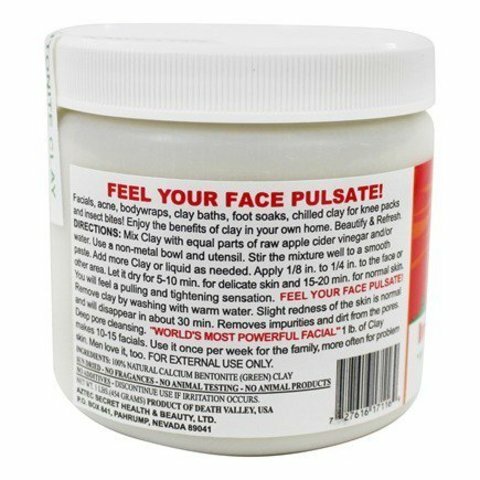 Facials, acne, body wraps, clay baths, foot soaks, chilled clay for knee packs and insect bites. Enjoy the benefits of clay in your own home.